This brightly colored corrugated paper is rigid on the width and flexible on the length. 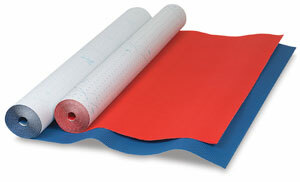 It can add texture and dimension to decorating projects, parade floats, paper sculpture, displays, and bulletin boards. It has color on one side, white on the back. A free color chart is available. 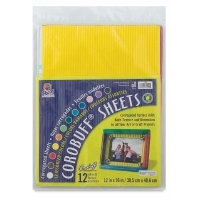 Corrugated Project Sheets — These 12" × 16" sheets of colored corrugated paper are just right for art and craft projects. Each package contains 12 sheets in assorted colors.